For 2050 we face a challenging scenario; it is expected that there will be a 70% increase in food demand with limited arable land, therefore, the use of technology – seed genetics, efficient crop protection and fertilisers, animal feed, and pro and prebiotics – will be crucial to attend this demand. The consolidation of large international agri input players has already begun and this trend will continue in other segments as well. It is certain that the consolidation process is due to a more challenging environment, where companies are struggling in terms of financial results, expiration of patents, regulatory issues and the ascension of generic product players. As a trend, it is expected that the consolidation process will reach other segments, such as agri-retail and commodity traders. The M&A process has already reached the technological companies, where large input players are acquiring small and mid-sized players that can aggregate more technology to the product portfolio. UK farming was valued at around £8.2bn for 2017 and was responsible for 0.7% of gross domestic product for the United Kingdom. Despite the uncertainty surrounding the Brexit vote, the UK remains a target for overseas investors and acquirers due to the country’s shift in consumer demand to health-conscious products, a rising population and agritech innovation. 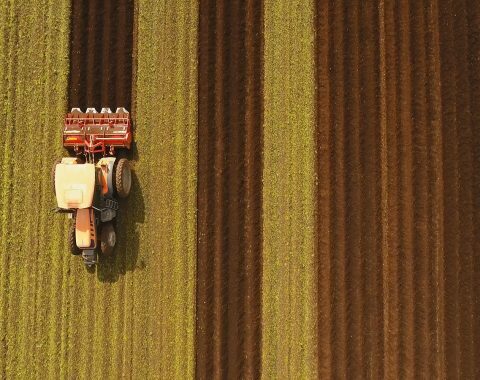 Fears of incoming trade barriers from Brexit did not halt M&A transactions, with 6 agribusiness deals occurring in H1 2018. The largest deal of 2018 thus far was Produce Investments PLC being acquired by Promethean Investments LLP. The deal was valued at £89m at a 6x multiple. The agribusiness sector has around 450,000 workers, of which, the majority work on family-run farms producing dairy, meat and poultry. Meat is the most popular sector of UK agribusiness, with a valuation just over £7bn. UK consumers are likely to face adverse effects from the Brexit votes, with increased prices and decreased selection and quality of goods. UK farmers will also lose the common agricultural policy support they receive from the EU, creating a £3bn deficit and losing access to a further approx. £2bn fund. Agricultural technology remains a large focus in agribusiness, with innovative technologies driving profit margin increases and output. The UK market will need to rely on agritech to ensure they can compete with the global market once they lose the CAP protection offered by the EU.